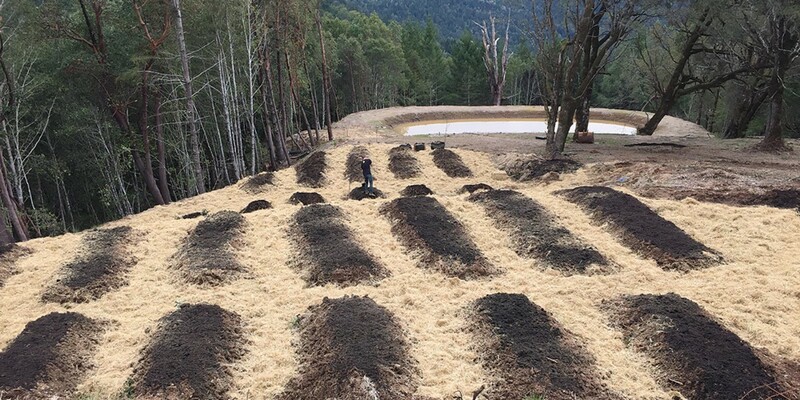 Submitted Lady Sativa 707 farms in Benbow, being readied for planting, relies on permaculture techniques that owner Rio Anderson believes will set the new standard for an environmentally friendly cannabis industry. 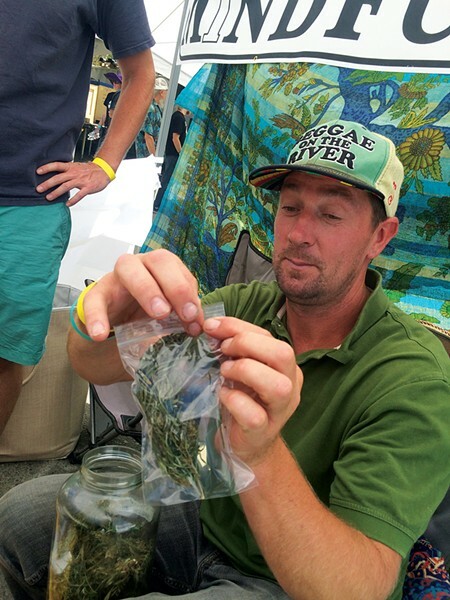 Submitted Rio Anderson, owner of Lady Sativa 707 farms. Mark Rowley has spent just about all of his 62 years in Willow Creek and says he's never been tempted to move. That is, until now. Why — after having raised two kids and trading one successful business for another — would Rowley consider leaving the valley his family has called home for three generations? The marijuana industry. Don't get Rowley wrong. Marijuana is nothing new in the valley — it's been grown there commercially going back some five decades — and Rowley's no moralist prude. Some of his best friends have been in the industry for 30 or 40 years. The problem, Rowley says, isn't pot, it's the paradigm shift he believes began in 2009. "It's almost breathtaking how fast it came," Rowley says. "We really started seeing this new grower on steroids." 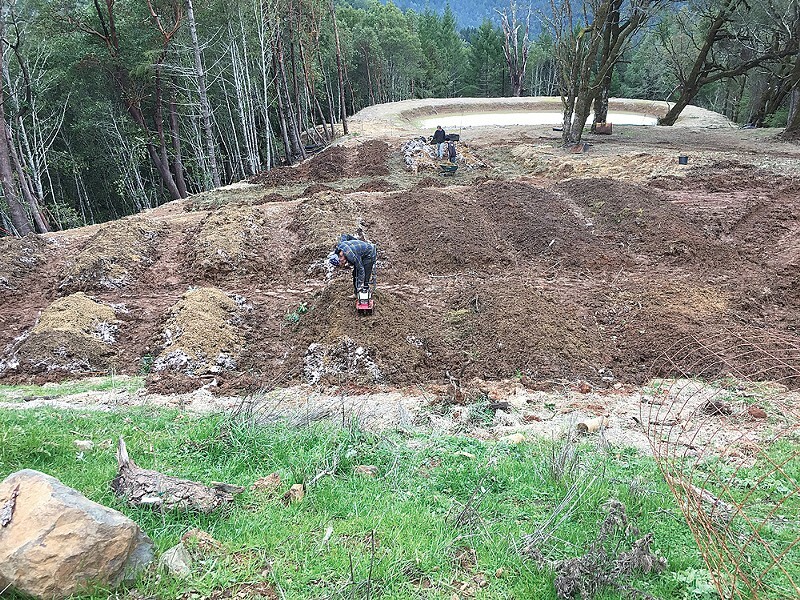 These new growers, Rowley says, came by the hundreds and comprise all types — from the sophisticated folks with deep pockets to the desperate looking to cash in on Humboldt's hills. What binds them, according to Rowley, is that they are "opportunistic carpetbaggers," who treat Willow Creek like a colony. "These are opportunists, and I don't mean that in a bad way but I think most of them dream of going home with a lot of money and the ability to do other things," Rowley said. "They're just here on work detail." In some ways, Rowley's comments echo those of Rio Anderson, who loved Garberville when he and his back-to-the-lander mom moved there in the late 1970s. Anderson was about 10 at the time, and showed up in Southern Humboldt having lived out of a bus with his mom in Mexico and spent time running a traveling donkey circus near Death Valley. He loved Garberville. "Those days were so special because nobody had a lot of money but we had this cohesiveness," he says. "It was kind of like an intentional community. 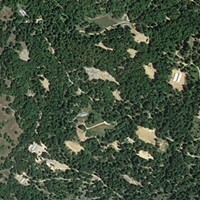 People were here for the purpose of living close to the land and integrating all those '60s ideals into a place. I remember being a kid and being raised by a village." But Anderson says that community feeling eroded and that he was "pretty disillusioned" with the place by the time he was leaving high school. The industry had grown to the point there was lots of money in Southern Humboldt, Anderson says, but the price was secrecy, distrust and violence. So Anderson left, first up to Arcata to attend Humboldt State University, where he ran track and studied geology, then to Minnesota, where he got a masters in nonprofit management and worked with Somalian refugees. It was Humboldt's landscape — its river days, mountain biking and surfing — that drew Anderson back. He got a job in the county economic development department and was "trying to understand how rural economics work." At one point, he recalls, the county paid $80,000 to a consulting firm to come up with a prosperity plan. The firm's report said that because of Humboldt's remoteness, it needed to find a high value, low shipping cost product that can only be produced in Humboldt. "I was like, ding, ding ding," Anderson says. "Come on people, let's get on this." Anderson's stint with the county ended when he got busted watering "someone's patch." So Anderson moved back home with his mom, who owned Chautauqua Natural Foods in Garberville, and helped her with business planning and expanding the business. A key part of their vision was community — creating a healthy place for people to gather and connect. To some extent, that's what Rowley sees as missing in Willow Creek — but not so much a brick and mortar center as a willingness of people to put down roots and commit to being community members. Willow Creek has a history of taking in outsiders looking for opportunity, Rowley says, pointing to the scores of folks who fled the dustbowl in Oklahoma and Arkansas, moved west and settled in the valley when logging was booming. But those people stayed and raised families — they were vested. Rowley says he doesn't see that anymore, which impacts Willow Creek in a variety of ways. "Everything that is of culture and society to us has completely lost leadership and community vision," he said. "There's no battle plan of how to take on the future as a community." Rowley says that means parks — once quietly supported by marijuana money — have started to fall into disrepair, the community services district water system needs major improvements and a string of local business have shuttered as their owners retired unable to find anyone to take them over. There's more. "Trimmigrants" flood the main stretch of highway through town every summer and fall, Rowley said, looking to get a job at someone's grow scene. They rarely — if ever — get hired, but nonetheless the main strip is full of 20 to 30 daily for weeks on end. It drives some locals crazy, Rowley says. He's tried to approach growers about setting up a place off the main drag with shade and a portable toilet for these folks to spend their days. 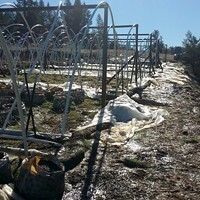 But the growers have been unwilling or unable to come together and figure out a solution to ease some of the community tension. "I tell them, 'These are your people. Manage what you brought to town,'" Rowley says. But if you want to see the biggest impact of changes in Willow Creek, Rowley says you should look to Trinity Valley Elementary school, which both of his kids attended decades ago and thrived. In 2005, the school ranked in the 40th percentile in the state, based on standardized testing data from the Department of Education. In 2016 — the last year for which data is available — it ranked in the eighth percentile. "We've watched our test scores go almost vertically down," Rowley says. Rowley attributes this largely to absenteeism, noting that area growers often get out of town after harvesting their crop and spend a month or so of winter somewhere tropical, often taking their kids with them. Reached last week, the school's new principal, Tayshu Bommelyn, who started this year, said she couldn't really speak to what happened before she arrived. But she said attendance has been a district-wide priority since her arrival and that she "shut down" the school's previously lenient stance toward allowing students extended absences under an independent study program. This year, she says, the school has been averaging close to 95 percent daily attendance. While that's sure to be music to Rowley's ears, he's not sure what the future holds for he and his wife. He loves Willow Creek but has grown concerned about his business — he owns Coho Cottages and China Creek Cottages, which combine to rent out 18 units nightly. In the hospitality industry, Rowley says he's dependent on being part of a business cluster targeting similar customers. The valley used to have a host of wineries but only one remains, and it's struggling, Rowley says. Meanwhile, the whitewater rafting business he used to own needs new energy and the golf course, purchased a couple of years ago by some people affiliated with the cannabis industry, is going downhill. About 120 miles to the southwest, Anderson feels like his town is on the cusp of a resurgence. 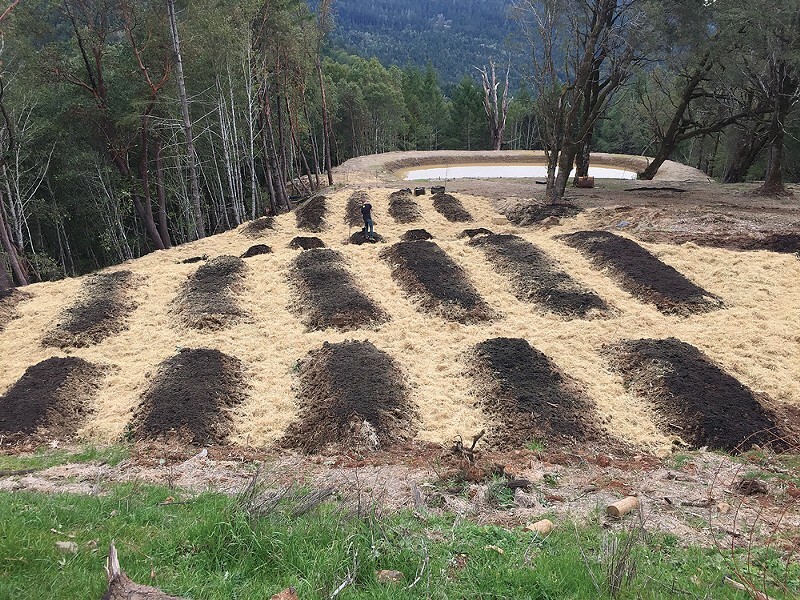 With legalization looming, Anderson recently purchased a "beautiful piece of land in Benbow" and is working to make it the new standard for an economically viable permaculture farm. He's hiring local people and paying them a good wage to help him grow an environmentally sustainable luxury product under the label Lady Sativa 707, which is part of the cooperative Humboldt High Five. And Anderson is confident that his farm and others with a similar ethos will have a Field of Dreams-like, if-you-build-it-they-will-come effect. 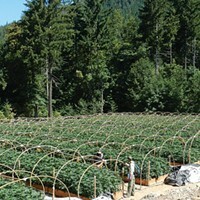 The generational know how of Southern Humboldt, coupled with the coastal air, constant breezes and cool nights, will keep the area producing some of the world's best cannabis. But the key to making Humboldt County a cannabis tourism destination, Anderson says, is environmentally conscious farms that actualize a sense of community. "Just as valuable as the cannabis is the community values system and how we treat ourselves," he says. "We need to be a place where people can come as tourists and experience a sense of uniqueness. Unfortunately, the whole secretive black market culture flies in the face of that. We need this to be a welcoming place, not some drug dealers' paradise." If Rowley could hear this back in Willow Creek, he'd likely be nodding along. When he hears talk of cannabis tourism around town, he says he always says the same thing: "I have a 3-year-old granddaughter and an 87-year-old mother. Will I be able to bring them both and have a good time?" That's going to require some major infrastructure improvements — picture the kitchens, manicured grounds and seating areas of popular wineries. But perhaps more importantly, it's going to require a culture change. Down south, Anderson's optimistic. "I want Southern Humboldt to open like a flower," he says. "It's a beautiful flower, but it's been closed up. We need to open up, bring people together and share our values. To me, that's way more important than the cannabis, having a culture of transparency and openness." To continue the story, please click below to "A Budding Industry".